Born in 1942 in El Salvador of a Salvadorian father and Costa Rican mother. His father died in 1948 and his mother returned with her young family to Costa Rica to live with her parents and there they stayed until her appointment in 1955 as Costa Rica's Ambassador to England. That same year, his mother travelled to London to take up her position accompanied by Alfredo and his younger brother. In 2008, after a long and varied working life,redundancy forced him to retire and he decided to indulge a long-held ambition to write a book. It is 1951 and a storm is raging in Guayaquil when Edward Hannah boards a plane on its way to Peru's capital, Lima and so begins a tale of pirates, treasure islands, looted Nazi gold, terrorists and KGB assassins. Hannah is Joseph Keating's best friend who dies in Austria at the end of WWII as a result of a mysterious car accident leaving him with a treasure map and an enigmatic black notebook that belonged to a U-Boat commander. At the start of the New Millennium Elliott Shepherd, a journalist and adventurer, finds himself in possession of the map and the notebook and sets off to find the treasure. In London he meets Natalia, a beautiful Chechnyan art dealer who is involved with Esteban Blanco, a Colombian drugs baron. Elliott Shepherd is dragged down into an underworld that he is not prepared for where the risks of death are high but where the payoff is a king's ransom. 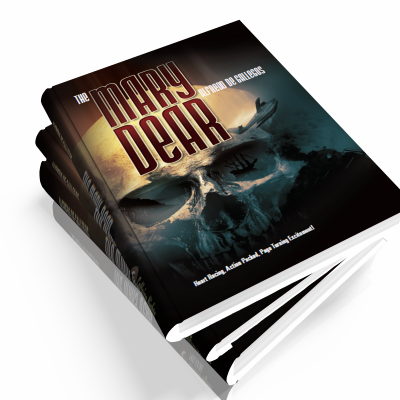 Alfredo de Gallegos talks about The Mary Dear and the inspiration behind writing the book.